Ocean House / Photograph by Move Mountains Co.
For proof, look no further than Watch Hill’s Victorian Ocean House. Opened in 1868 as a vacation destination, the sunshine-yellow hotel perched atop a bluff has been fully restored to its original glory. 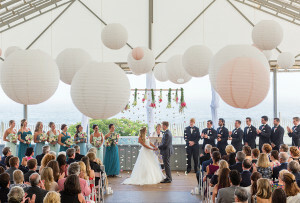 Recite your vows on the beach or croquet court overlooking the Atlantic, followed by a party in the water-view ballroom or a tented celebration on the private sands. 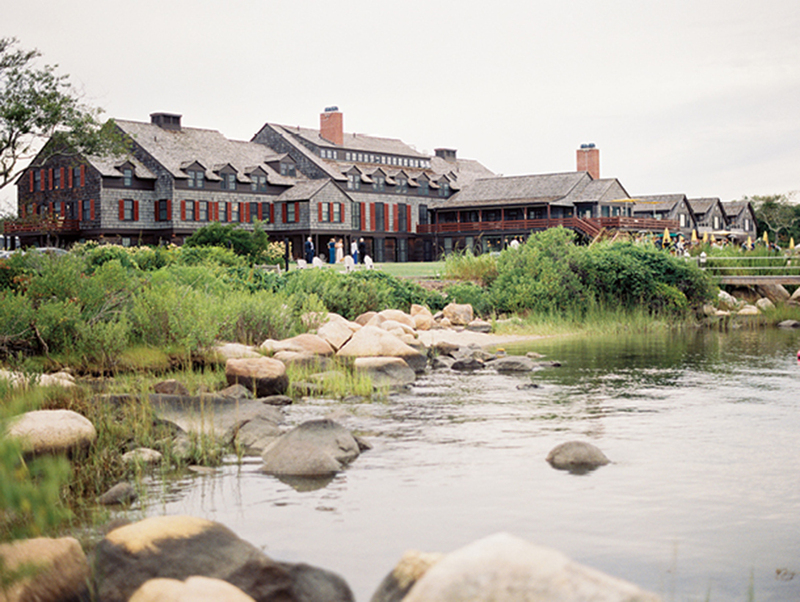 Prefer a storybook setting with views of the crashing surf? 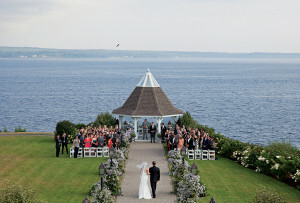 Host your fete inside the twin turrets of the Towers, a Narragansett landmark constructed in the 1800s. 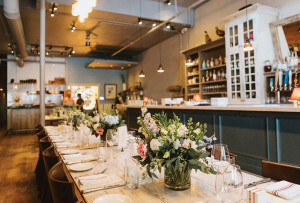 The brick-laid patio complete with a gurgling fountain is the ideal spot for a ceremony, while the castlelike interior, with its rustic stonework and rich wood details, makes for a positively royal reception. Or you could simply let nature reign supreme: Over in Wyoming, the private sporting club known as the Preserve at Boulder Hills offers more than 1,000 acres of pristine grounds, plus the rolling green hills of the golf course, where you can tie the knot on the 19th hole. Choose from a tented wedding or the contemporary ballroom with a wraparound porch, and toast to the thrill of the chase concluding with a happy ending. 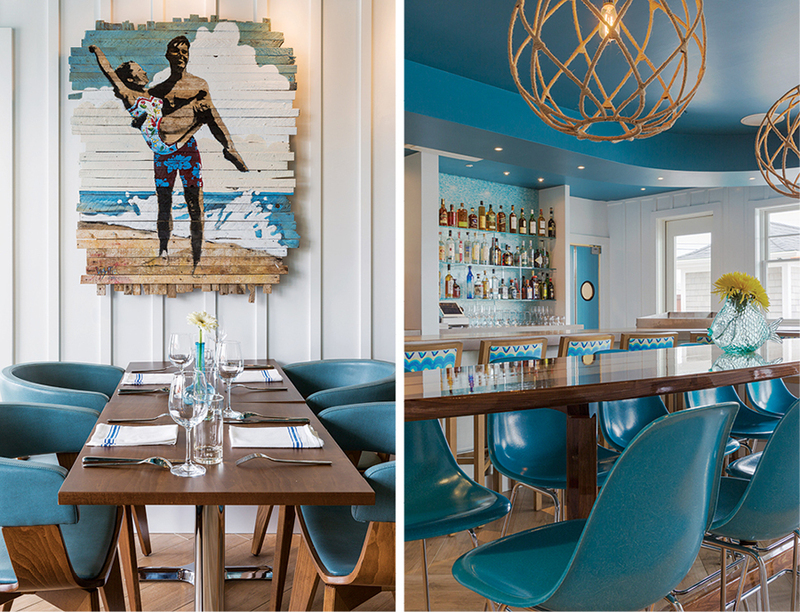 The retro-surf décor of Narragansett’s boutique Break hotel will set the tone for a breezy, beachy wedding weekend—as will its rooftop restaurant and bar, Chair 5, named after a famous Narragansett Town Beach lifeguard perch. 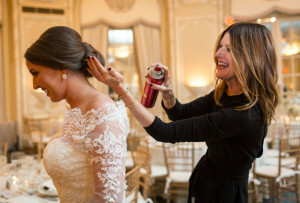 Looking to add a little extra buzz to your big day? 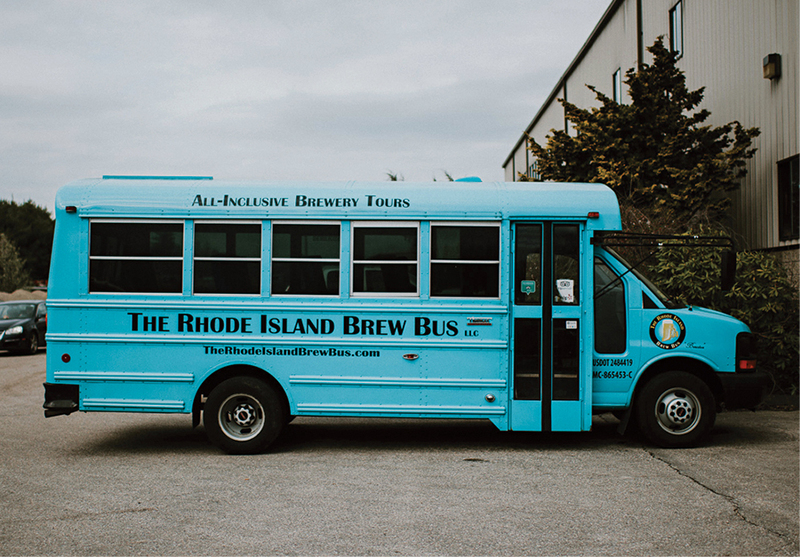 Book a private tour with the Rhode Island Brew Bus, which can take up to 13 guests to area breweries, including South Kingstown’s Whalers Brewing Company. Tuck into locally harvested seafood from the boats that cruise right by the newly updated Coast Guard House, featuring sprawling panoramas of Narragansett Bay. Who needs a traditional wedding cake when you have Nana’s Gelato Station? With light and airy flavors such as coconut mango, lemon, and crème brûlée, the frosty scoops promise to cool revelers off after a night on the dance floor. Packaged in glass vessels featuring illustrations of the Ocean State, Rhode Island–made Yacht Club sodas—in flavors like ginger beer, grapefruit, and black cherry—bottle up the love and excitement of the day. A postwedding respite in South County calls for nothing but a bathing suit and sunscreen: Between Narragansett and Westerly, at least half a dozen beaches beckon folks to the shore. 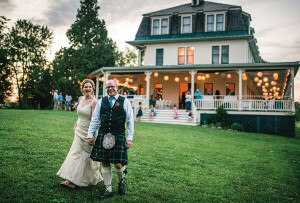 But first, you’ll want to indulge in some R & R at the Weekapaug Inn, a 119-year-old Westerly property nestled between two ponds that’s like an adult summer camp. Guest stays include use of the paddleboards and kayaks on Quonochontaug Pond as well as nature walks with the resident staff naturalist, who’ll teach you a thing or two about migratory birds. Of course, a waterfront weekend requires a proper seafood dinner. South Kingstown’s Matunuck Oyster Bar serves up shellfish raised on-site in Potter Pond and one of the state’s best lobster rolls, while in nearby Point Judith, spots like George’s of Galilee and Aunt Carrie’s dish out the state’s specialty clam cakes, fritters with tender clams in the middle. Go ahead and indulge—it is your honeymoon, after all.